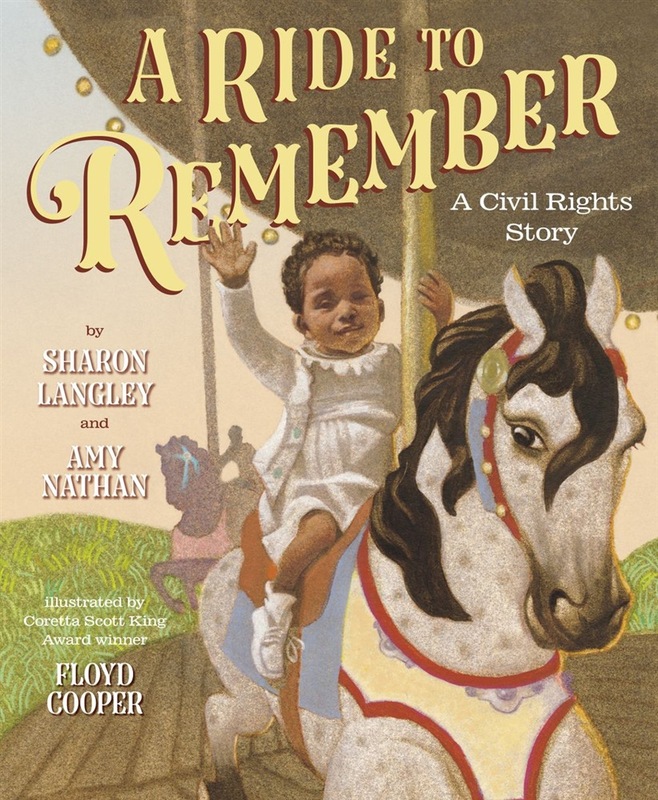 The true story of how a ride on a carousel made a powerful Civil Rights statement A Ride to Remember tells how a community came together—both black and white—to make a change. When Sharon Langley was born in the early 1960s, many amusement parks were segregated, and African-American families were not allowed entry. This book reveals how in the summer of 1963, due to demonstrations and public protests, the Gwynn Oak Amusement Park in Maryland became desegregated and opened to all for the first time. Author Sharon Langley was the first African-American child to ride the carousel. This was on the same day of Martin Luther King Jr.’s March on Washington for Jobs and Freedom. Langley’s ride to remember demonstrated the possibilities of King’s dream. This book includes photos of Sharon on the carousel, authors’ notes, a timeline, and a bibliography. Acquista A Ride to Remember in Epub: dopo aver letto l’ebook A Ride to Remember di Amy Nathan, Sharon Langley ti invitiamo a lasciarci una Recensione qui sotto: sarà utile agli utenti che non abbiano ancora letto questo libro e che vogliano avere delle opinioni altrui. L’opinione su di un libro è molto soggettiva e per questo leggere eventuali recensioni negative non ci dovrà frenare dall’acquisto, anzi dovrà spingerci ad acquistare il libro in fretta per poter dire la nostra ed eventualmente smentire quanto commentato da altri, contribuendo ad arricchire più possibile i commenti e dare sempre più spunti di confronto al pubblico online.